If you run a small business, you probably don’t have the budget for a large marketing team. This can feel a bit disheartening and you might be wondering whether this is going to impact your odds of success. Especially against more established competitors. Thankfully, you don’t need the help of a large marketing team to generate sales. With the right approach, it’s not that difficult to bring in sales with a one or even two-person effort. Keep reading and you’ll learn how to generate sales leads without a marketing team. Take action on the tips provided and your competitors will be wondering how you achieve so much, with so little. Firstly, you need to take a moment to study your competitors. When you do this, you’ll be able to identify the opportunities they’re not exploiting. You’ll also be able to identify what’s working for them and whether such an effort is also going to work for you. Imagine you run an e-commerce store. If you study your competitor, you might find that they’re generating all their sales using paid Facebook or AdWords campaigns. But they might not be using organic means like SEO. They might not even have an Instagram profile that helps them promote their products. This, of course, represents a way for you to compete against them, using another marketing channel that they’re ignoring. Because competitors are ignoring these marketing channels, it’s not hard to generate results in a short period of time. Of course, you’ll also want to consider what your competitors might prevent you from doing. For instance, if they’re marketing using AdWords, it might mean that they’ve pushed up the CPC to a fairly high figure. The CPC figure may be so high that it prevents you from bidding on appropriate keywords. You’ll thus need to focus on other keywords or even ignore AdWords completely as a form of marketing. If you don’t have a large marketing team, you’ll need to experiment with different marketing tactics. Doing this will help you identify tactics that’ll produce an unusually high ROI, of which will help you compete against competitors. Problem is, these tactics will likely be unorthodox and unusual. This means that they might not always work. You’ll thus need to experiment with a wide range of these tactics before you find something effective. When you find something that works, though, you’ll want to make sure that you double down on it. Make sure you can get as much from this new marketing tactic as you can. There are a couple of reasons for this. For one, you don’t know how long this marketing tactic is going to last for. If you’re exploiting a marketing loophole, you can’t be sure how long it will be until there is an algorithm update or something similar. Such an update can wipe out your ability to generate results. You also don’t know how long it will be until your competitors catch on to what you’re doing. If they catch wind of your new tactic, they’ll likely want to try out the same thing. If they do this, it’s going to lead to the marketing channel potentially becoming crowded. This can affect the return on investment you’re achieving. If the competitor is quite large, this tactic will hit the radars of other competitors. This will create a downhill effect where more and more people are using the marketing tactic, eventually rendering it useless. This can sound like a lot of effort and perhaps even a little bit counter-intuitive. But if you don’t have a large marketing team, doing a lot of work upfront can help impress potential clients. Let’s explore an example of how this might work. Suppose you offer marketing services. You could spend a day pitching 100 companies, telling them that you provide marketing services and how much you charge for these services. If you’re doing this using ‘cold’ outreach a small percentage of these individuals are likely to return your communication efforts. After all, they don’t know who you are and you haven’t given them much reason to reach out. The alternative is to reach out to only 10 companies. This time, though, you create a detailed proposal that explains what’s wrong with their current approach. In such a document you might detail what their competitors are doing and what kind of results they’re achieving. You could then explain how they can achieve similar results by working with you. You may even want to link to case studies, like the one in this helpful article, to help explain your marketing concepts. The people who receive your marketing communications will have a better appreciation for your skills. That’s because you’ve demonstrated what you can do straight away. You’ve also given people a reason to work with you, which in itself is a powerful motivating force to get people’s attention. To improve your odds of success with this method, you might want to consider how you can narrow down your outreach process. Because you’re reaching out to fewer people now, you want to be sure that they have a need for your services. Do You Know How to Generate Sales Leads? Generating sales leads is an important part of running a business. But if you don’t have the budget for a large marketing team, you probably find yourself wondering how you’re going to gather enough leads. In this post, we’ve taken a look at how to generate sales leads without a large marketing team. You need to be aware of what your competitors are doing and where they may be slipping up. You also want to make sure you’re able to double down on any marketing effort, once it returns some results. If you remain consistent, your business will be able to grow, as a result of your marketing efforts. This will give you the money needed to hire people. Hence you’ll be able to build out your marketing team, removing the obstacles discussed in this post. 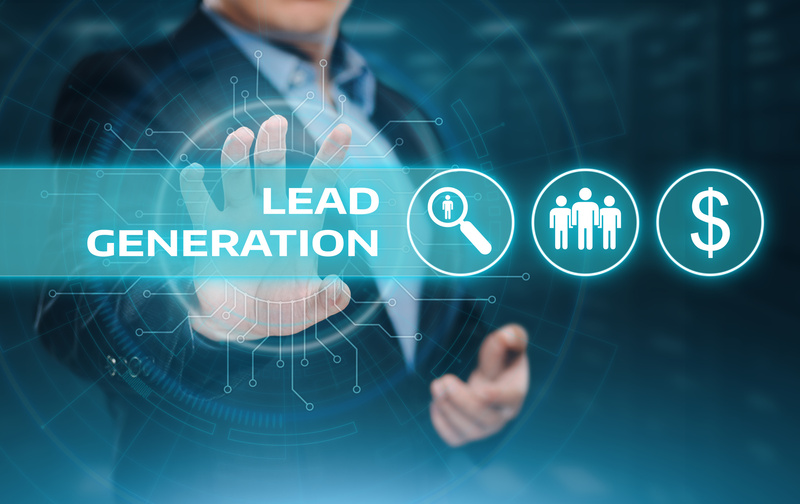 Need some tips on lead generation? Check out this post for some helpful advice.